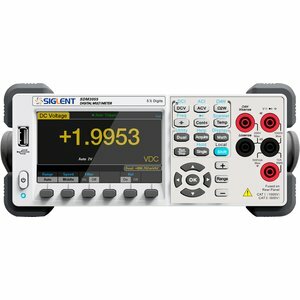 Siglent SDM3055 is a 5 ½ digit digital multimeter that features many math and statistical functions. 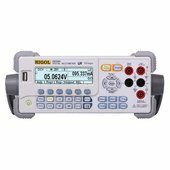 It includes a variety of communication interfaces with easy setup, is equipped with a 4.3-inch TFT-LCD screen, and is designed for users who need high performance, multiple functions, and automatic measurements. Siglent SDM3055 is a high performance desktop multimeter. 4.3-inch (480 * 272) true color TFT large screen LCD, and comes configured for a variety of communication interfaces with USB Device, USB Host, LAN ports. Siglent SDM3055 Digital Multimeter — 1 pc.